The term component catalog is used in Tekla Structures until version 21.1. 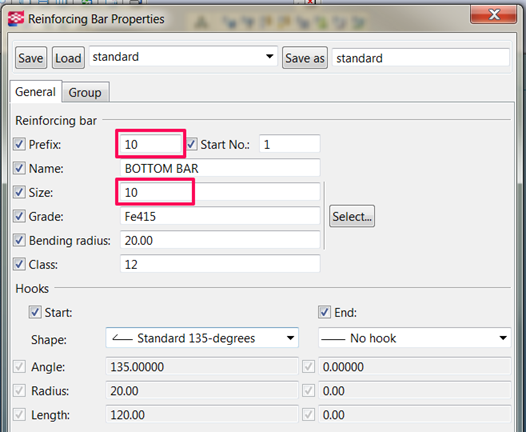 Select the rebar in the model and click on selected option and click update to add diameter value as prefix of that rebar. Or you can use full model to assign it to all rebars in the model, all rebar will get their respective diameter as prefix.